On Wednesday, January 10, 2018 the Committee on Natural Resources & Sporting Heritage held a Public Hearing on Assembly Bill 712. 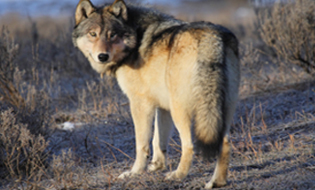 It garnered a great deal of attention because of its ill-conceived notion of “wolf management” while ignoring the science behind sound policies of management. Bill AB 712 would not allow the use of state funds to enforce laws pertaining to how wolves are managed. For the landowner/homeowner this means that wolves could be killed without consideration of location or means. That translates to wolves targeted for killing by any means: bait, traps, poison and night lights. And if a wolf is chased onto a private residence/land where lethal means may have been placed, what recourse does the landowner have to protect his or her rights? With the increasing spread of Chronic Wasting Disease (CWD) across our state, the natural stabilizing influence of the wolf would be eliminated because wolves kill the sick, injured and young deer. It was mentioned at the hearing that there has been at least one case of a human becoming sick as a result of eating tainted deer meat. The cost of sampling deer meat would be another factor to consider. The natural order of nature is balance. Let’s not upset that balance without knowing what works, using science to determine policy. A recording of this public hearing can be viewed via WisEye. This was originally posted at Friends of the Wisconsin Wolf & Wildlife.